A once in a lifetime experience has turned into a one of a kind book. 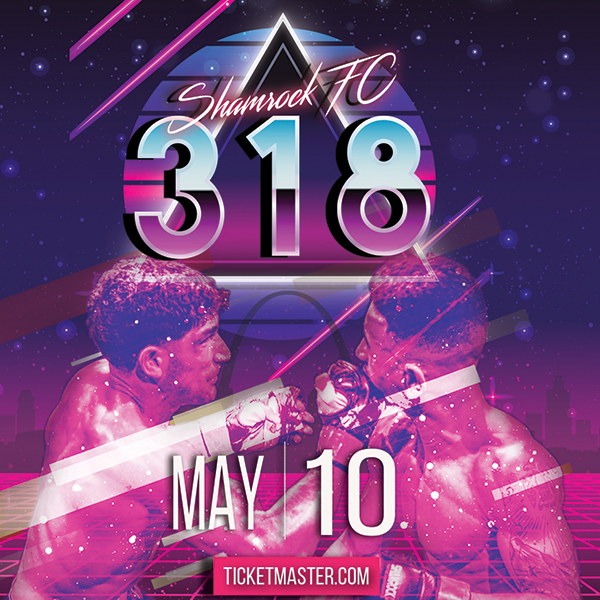 St. Louisan Sara Levin is the co-author of a new release based on the final fight of mixed martial arts legend and Ultimate Fighting Championship Hall of Famer Randy Couture. Strapped with her camera, Levin shadowed Couture for his entire training camp leading up to his final go-around in the octagon and the end result is, "The Last Round." 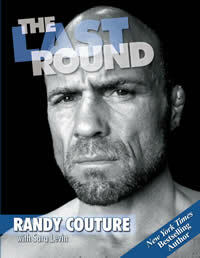 The book is a collection on Couture's thoughts and observations paired with Levin's exclusive photographs that tells a unique story and gives fight fans a never-before-seen glimpse into the final fight of one of MMA's most beloved and respected athletes. "She was a fly on the wall," Couture said. "It was her idea to commemorate that last camp and last fight and I really didn't want to do it at first. We were friends and maybe we weren't going to be friends after that 10-week process. I thought about it for a week and it turned out great." Levin - who grew up in Maryland Heights, went to Parkway North and is now a "proud" South City resident – approached Couture roughly a year ago to pitch the project. The pair are longtime friends and met during Levin's career with USA Wrestling and when Couture was as a storied Greco-Roman wrestler. But the former UFC heavyweight and light heavyweight champion's arm had to be twisted before Couture tapped and green lighted the process. "The purpose was the leading up to that final step into the octagon," Levin said. "Win or lose, this is a culmination of a legend's career. Being friends with Randy, I had the great privileged of being a part of it and I felt like everyone should share this with me. "I did have to convince him. He's a pretty private person and he wasn't quick to invite someone into his life in such an intimate way. But I pushed him on it." The mostly black and white photos in the book are much like Couture himself; gritty, vintage, and blue collar. Taken with a Holga camera that uses 120 film, the photos are stripped to the bone. "The photos are not about being perfect," Levin said. "They're not about being pristine. The images and the book are accessible." As for the photos' subject, his initial reservations for the project were wiped away after seeing what Levin produced. "The nature of the photos makes it a unique product," Couture said. "It makes you want to lean in and look at it a little closer and harder. We did a ton of interviews to come up with the text. 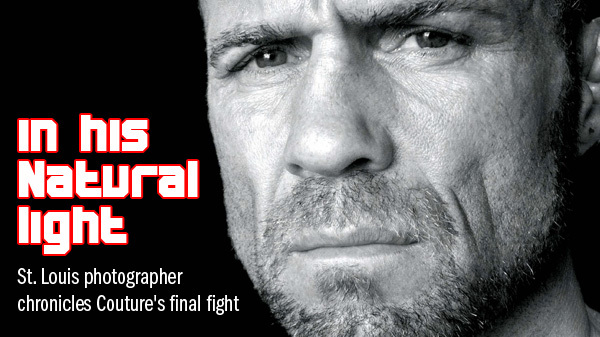 It's a great commemoration of a 14-year mixed martial arts career. All of the dialogue comes straight from me and the pictures display a lot of things that you do see, a lot behind the scenes and I think that is what is going to make it interesting to people and I'm very happy with it." Levin was here, there, and everywhere; in the corners, butted against the cage, right next to the sweat and strain. If the Natural did it, whether at home or at the Xtreme Couture MMA facilities, her camera lens winked. She spent two months in the camp from the first day to the last and before and after his fight with Lyoto Machida. Known for its stringency when it comes to access, Levin is immensely appreciative of what the UFC granted her, allowing her full reign for the fight, which ended in a Machida victory by knockout at UFC 129 in Toronto. "I did the walkout with 55,000 screaming fans for Randy's fight and there's nothing that compares to that experience and I hope the book translates some of that," she said. "I'm as much a fan as I am a professional." Even though she had known Couture well prior to his rise in fame and popularity, she questioned whether the project would leave her feeling different about him. "I walked into this fully prepared to have my rose colored glasses for Randy forcefully removed," Levin said. "But that never happened. Randy Couture is very much, who you see is who you get. He's a loyal and genuine person. He's still just Randy, to me. He manages to stay the same person I met 14 years ago." Levin's professional life behind the camera has been brief. She just recently finished her master's in graphic design and photography from Webster University but before that she simply enjoyed shooting and appreciated photography. "Once the tools were put in my hand, I ran with it," Levin said. "I don't have a long, storied history in photography. My long, storied history is in wrestling and combative sports." Levin's passion for combative sports began in high school where she was a wrestling cheerleader and continued on to college where she was the team manager at Indiana University under famed coach Duane Goldman. "It's been a passion as much as it has been a career," Levin said. "It's very much a part of who I am." She is cautiously optimistic about how the book will be received by MMA fans. Levin has been bouncing around the country with Couture promoting the book and so far she has been enjoying the ride. At a December stop in St. Louis, at Tyron Woodley's (who is managed by Xtreme Couture) ATT Evolution grand opening weekend for a book signing and meet and greet. For now she is soaking it all in and seeing where this ride takes her. "I sound so cheesy and my art school would kill me for being so positive," she said. "I wish I could be this pessimistic artist. The fact is I'm happy with the product and where things have led. I'm grateful for the opportunity and the fact that I can share with the world the Randy that I know has been an honor."